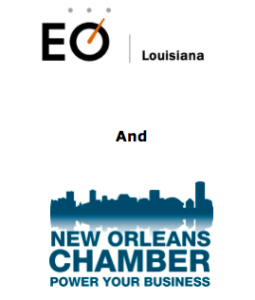 Reserve Your Table for EO Louisiana and the New Orleans Chamber’s Third Quarter Business Luncheon & Entrepreneur’s Expo on August 22nd! Join Entrepreneur Organization of Louisiana and the New Orleans Chamber of Commerce on August 22nd for our third quarter business luncheon series. Our keynote speaker F. Warren Ellish is President and CEO of Ellish Marketing Group and Senior Lecturer at Cornell University’s Johnson Graduate School of Management. Named “Marketing 100 – the superstars of US marketing” by Advertising Age, he will discuss The Three Critical Steps to Positioning Your Product or Service Into a World Class Brand. To read his full bio please click here. An Entrepreneur’s Expo will be held prior to the luncheon. Entrepreneurs from all sectors are encouraged to exhibit their products or services! The Expo is free and open to the public.